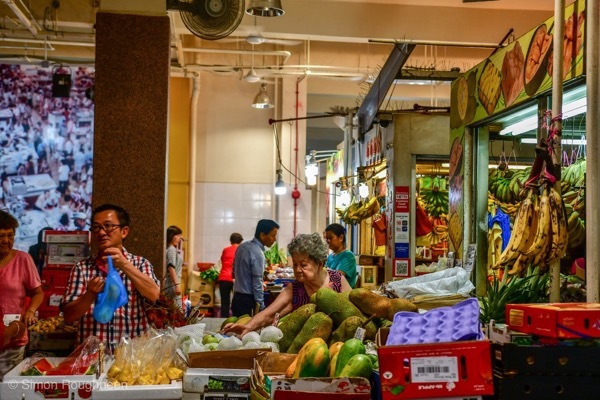 SINGAPORE — “Yes, hello, fruits?” Shouting above the din, vendor Sini Mohamad leans forward into a conga line of office workers edging between dozens of lavishly provisioned stalls in Singapore’s Tekka Market. It is lunchtime, and crowds throng the market as dozens of hawker stalls dish out noodles, rice and curries. Most ignore Mohamad’s appeals. But he keeps at it, alongside stallholders selling meat, fish, vegetables and spices. The lunchtime crowd offers a fleeting chance for butchers and grocers to persuade passers-by to do a bit of shopping before they head back to work, their palettes whetted by the aromas of spices and herbs clinging to the steamy market air. Tekka also has a brief busy period in the early morning, when there is a rush for freshly caught fish, some of it still alive. Mostly, though, it is quiet, like many traditional markets in Southeast Asia, in the face of growing competition from air-conditioned shopping malls and online outlets such as Singapore’s Lazada and Indonesia’s Gojek, a ride-hailing app that also offers food and grocery delivery. About 3 km across town, 80-year-old Johnny Ko lives in a small apartment around the corner from the Tiong Bahru Market. But for Ko, a retired courier, pottering around the market in his red flip-flops is more a way to pass the time than a chance to buy groceries. “It is too expensive for a pensioner, 15 Singapore dollars ($10.98) for a small piece of fish,” he scoffed, lighting a cigarette. “I just come here for a walk around while my wife is at work,” he shrugged, before bantering in Hokkien, a southern Chinese dialect, with a couple of stallholders. “I come to talk to my friends,” he laughed. “The rent [for supermarkets] is high, the many workers cost money,” Kung said, discussing whether the old markets can hold out against lavish supermarkets. “Here, I am the boss, I am the labor,” he said, wiping his brow. 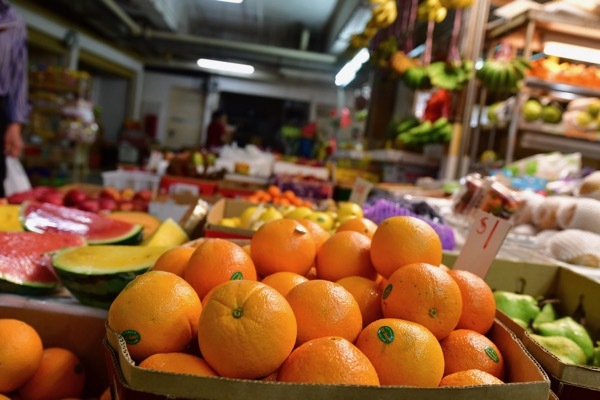 Prices vary, depending on time and place, but some fruit on display at Kung’s stall is less expensive than that on offer in the supermarkets, particularly if bought in bulk or in weekend special offers. “[We] can survive because some of our prices are not as high,” Kung said. “Yeah, yeah, of course of course,” tutted an elderly shopper, scorning the obvious question which she overheard as she ambled by. In fact, prices often exceed those in supermarkets, but some shoppers, at least, are willing to pay more for the relative freshness of the produce. That is because the Asian way of cooking “requires ultra-fresh ingredient, leafy vegetables like kai lan and bak choy, for example, that do not have much of a shelf life, or fish that were alive at the time of purchase,” said Seshan Ramaswami, an associate professor at Singapore Management University’s Lee Kong Chian School of Business. Nevertheless, the spread of air-conditioned malls and supermarkets in Asia has challenged the traditional markets, as has the internet: A 2016 report issued jointly by Google and Temasek, a Singaporean sovereign wealth fund, estimated that Southeast Asia’s web-based economy could be worth $200 billion annually within 10 years, a sixfold increase. Some of the intimacy of older markets — for example the familiarity of the shopkeepers with their customers’ needs, even knowing how much of what fish or fruit they might want — can be copied, at least in part, by online outlets. “In the age of big data … the internet and mobile stores will be able to replicate some of that customization,” said Ramaswami, citing how online retailers can store a user’s shopping list or send alerts about special offers for favored brands. 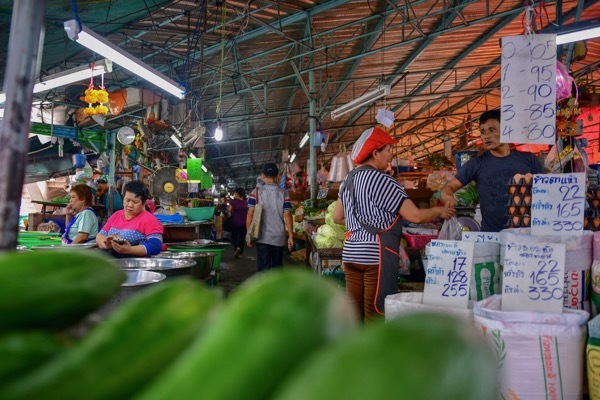 “Some larger fresh market operators that are well-known could certainly add online as their additional platforms, but it might not always be the case for very small operators, which still form the majority of fresh market vendors,” said Pavida Pananond, associate international business professor at Thammasat University in Bangkok. But the region’s old-style markets also benefit from their traditional vibe, which some are beginning to exploit more effectively as marketing tools: For example, a billboard at the entrance to Or Tor Kor Market in Bangkok proudly proclaims that broadcaster CNN has listed it among the world’s 10 best fresh markets. 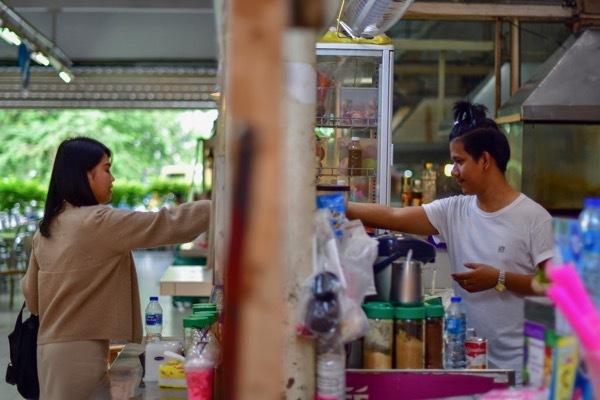 “It’s popular, everyone knows this market, it’s part of Bangkok culture,” said Montapa Rachasiri, who sells neatly packaged health food snacks such as nuts and granola at Or Tor Kor. Clean, well-lit and in some cases less expensive than Bangkok’s gourmand-inclined supermarkets, Or Tor Kor has the added advantage of proximity to the bigger and better known Chatuchak weekend market, also known as the JJ market — a vast labyrinth of clothes and shoes and ornaments that is a tourist trap and city landmark rolled into one. 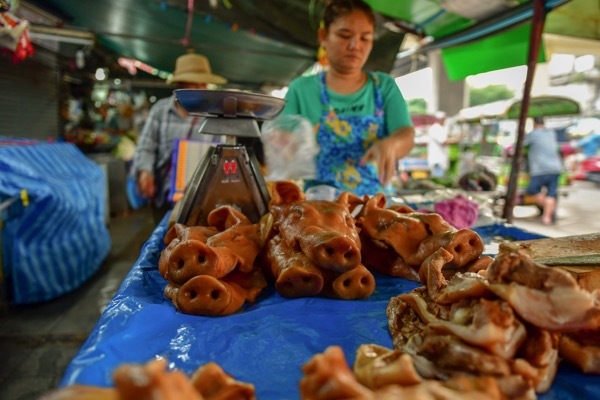 About 11 km across town, the Klong Toey Market — with its basins of live fish, frogs and eels, severed pigs heads, freshly butchered slabs of bloody beef and the drumbeat of rain on the sheeting and tarpaulins overhead — is where locals go for meat, fish and vegetables, which generally sell at much lower prices than in some of the city’s other markets. 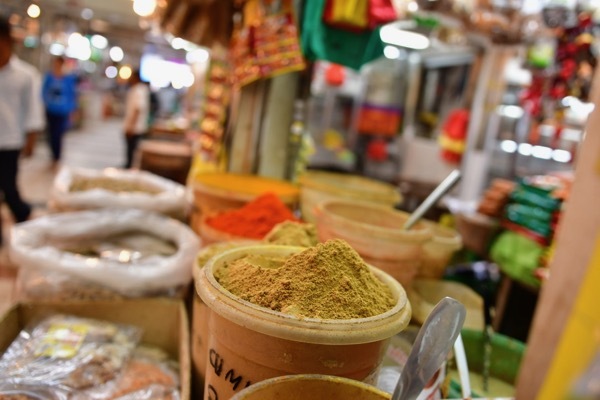 “I think [Klong Toey is] cheaper than the supermarket,” said shopper Anand Passaporntun. 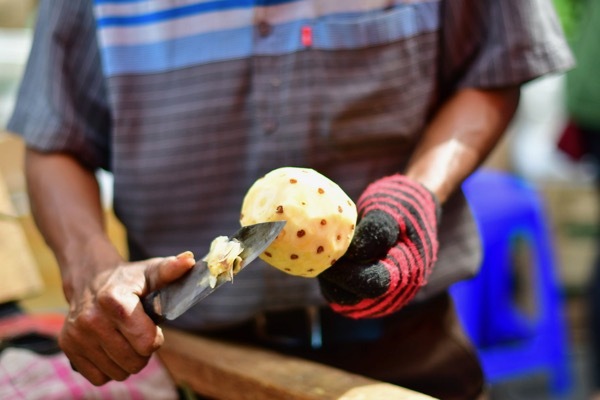 “Other markets are not cheaper,” he added, offering a tacit endorsement of Klong Toey’s full-on sensory experience over more sedate and upmarket variants such as Or Tor Kor. Or Tor Kor’s wide and airy passages and gleaming white-tiled floor evoke the hipster-magnet “farmer’s markets” in Western cities, where middle-class shoppers and quinoa-conscious millennials flock to buy organic fruit and vegetables or “artisan” meat and dairy products. “It is part of our memory, our tradition,” said Izmar Patrizki, who works at the Antara Museum of Photojournalism, next door to Pasar Baru, a market founded in 1820 that is the best-known in Jakarta. With its imposing brown-bricked and gated entrances close to Jakarta Cathedral and the Istiqlal Mosque, the city’s two main religious buildings, Pasar Baru is lined with dozens of clothing stores, shoe shops, cobblers, tailors, and music and antique shops. 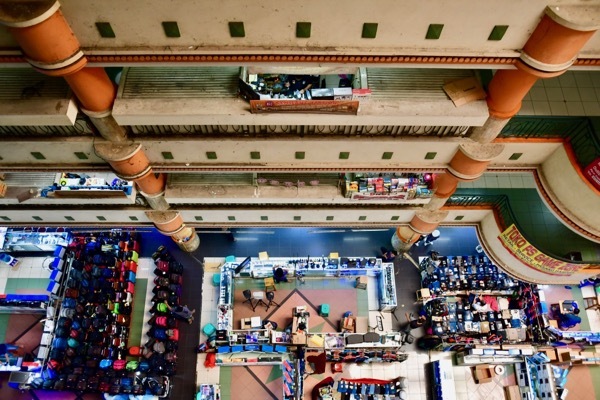 “I think they can survive; people still come to buy suits, shoes, batik (an Indonesian fabric worn on formal occasions),” Patrizki said of the prospects for local markets in a city where malls loom large — often literally — over the low-rise sprawl below. But there is plenty of competition, be that online shopping giants such as Shopee and Tokopedia or Indonesia’s expanding network of malls. In March 2017 Singapore’s DominoPos launched www.gotomalls.com, a website guide to Indonesia’s flourishing air-conditioned shopping and dining hubs, which often function as meeting places — respites from the heat, humidity and seasonal downpours outside. 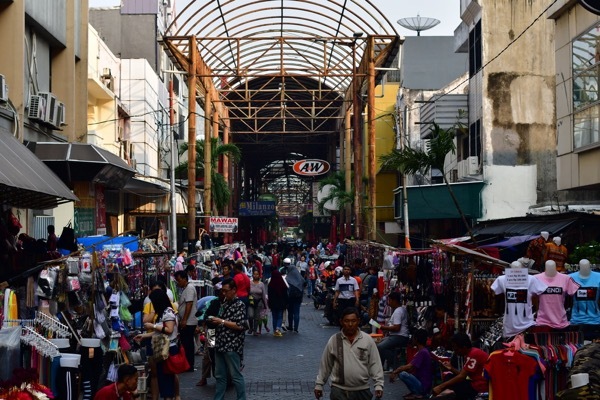 But observers say that the continuing popularity of old-style markets should guarantee them a long-term future in Indonesia. “They have the faithful customer, the loyal customer,” Patrizki said. At Pasar Sembilan, a market in Jakarta’s Chinatown, the alleyways on a recent Sunday were packed with shoppers haggling over produce or stopping for a quick drink from fruit juicers parked beside piles of oranges, mangoes and rambutan, suggesting a that business was thriving there at least. New facilities in the style of the old markets are being built in Jakarta — Muara Baru, the city’s first “modern” fish market, opened earlier this year, complete with wet and dry stalls, freezing and refrigerating facilities, and even a laboratory — but looking very much like one of the region’s long-established wet markets. But one big concern for traditional markets in the archipelago is a decline of more than 8% in the value of the rupiah against the dollar since the start of 2018. “We import the cloth from abroad, so this is a big problem for us, the change in value makes it more expensive” said the owner of one of Pasar Baru’s renowned tailor and fabric shops, who asked not to be identified. “We have to pay more, but we dare not increase the sale price, we fear losing customers,” he added. 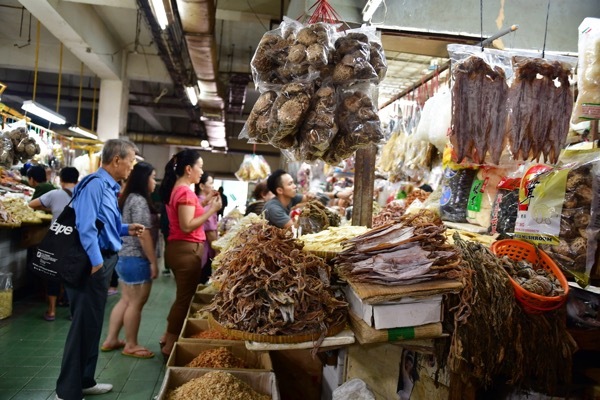 Like other local observers, however, the shopkeeper said Pasar Baru and similar markets have a long-term future in Jakarta. “In 10 more years, it will be less, less, less,” he said.